As per the latest information, Extra Data Offer for BSNL postpaid mobile customers will be available on selected postpaid 3G data add-on plans with immediate effect as per feasibility but not later than 16-05-2017. 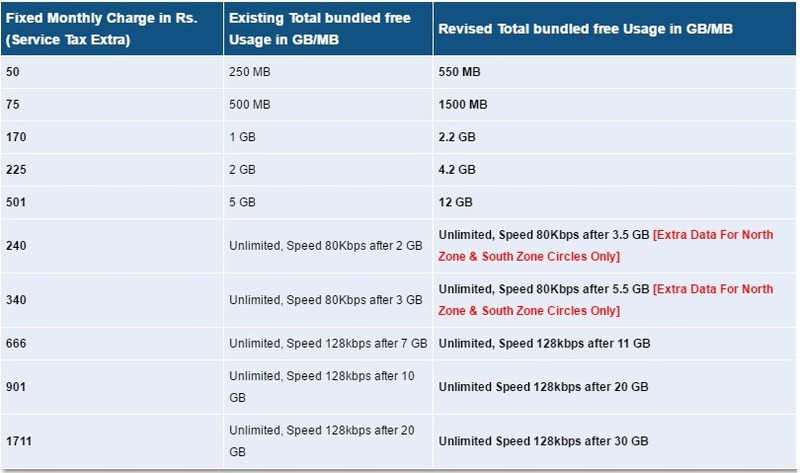 In addition, BSNL revised annual data add-on plan 365 to offer 1GB data per month for 12 months @ just Rs 365 per annum. All other terms and conditions will remain same. The above tariff will be implemented with immediate effect as per feasibility but not later than 16-05-2017. The additional/special data offer with existing and new Data Add-ons will be available for a period of 90 days from the date of implementation. The implementation of the revised tariff is to be made in accordance with 43rd Amendment of Telecom Tariff Order issued by TRAI.